After Nokia sold its Devices and Services division to Microsoft, and after Microsoft disassembled it completely in the past two years, lots of people that used to work there still had that Nokia spirit incorporated deep into them, and the need to connect, and be connected. So, many stayed friends after they lost their job, and because of that they formed a closed group on Facebook where all the ex-Nokia employees could be invited. In the short time that particular group got more than 20k members where folks were discussing about Nokia, about phones, other businesses and disclosed some prototypes of unreleased things. A big friend of ours that is ex-Nokia employee told us that joining that group would be (Nokia) blogers a dream come true :), and I believe it would become that. 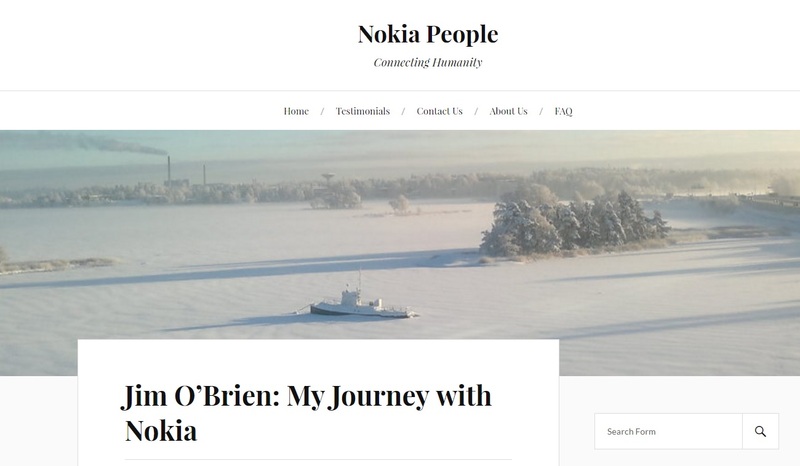 Recently the same group started a webpage called Nokiapeople.com where ex-Nokia folks and fans can share their stories about Nokia, about the time they spent there. The page is slowly filling with heartwarming stories of what Nokia meant and still mean to them. I don’t want to retell the stories here when you can hit the LINK and read them for yourself.